Immortal Fog e‑liquid is made in the USA. There are six, well, seven actually, all High VG flavors that were developed from more than five years’ experience in the DIY eliquid business. This is no Johnny Come Lately, or New Kid on the Block. And it shows. Immortal Fog is definitely a premium brand delivering premium vaping. A seventh flavor, Submergence, is a Limited Edition, limited availability, but we have it included in this review. Unfortunately, we are not reviewing all seven in this one review, got to save some for the sequel. Make sure to read our interview with the folks from Immortal Fog for more information about the brand. The Immortal Fog e-liquid line was created in-house at ecigExpress, the aforementioned DIY e-liquid ‘flavor’ company. For full disclosure, ecigExpress has been a 2+ year sponsor of Spinfuel eMagazine. Immortal Fog is shipped in 30mL glass bottles with glass droppers. The bottles have safety caps and are shrink-wrapped for protection. The colorful, attractive labels feature everything you could want on an e-liquid label, including the Warning paragraph, ingredients, nicotine strength, social media icons, and more. Our bottles were labeled “Sample. Not for Resell” and carried a batch number as well as a batch date. Can you ask for anything more? I don’t think so. As usual, the Spinfuel eLiquid Review Team spent 72 hours vaping Immortal Fog exclusively. By the end of the review period not a single drop of eliquid was left over. The flavor “spread” would allow just about every vaper to find at least one flavor to adopt for their e-liquid rotation. From the sweet flavor of graham crackers, cookies and cream, to a tart lemonade and strawberry. As you will see, individuals had their favorites, but on the whole the six e-liquids met with enthusiastic applause by the end of the 3-day period. Our team, and you, our readers, have been very fortunate to discover some great low-cost eliquids lately. Being able to enjoy an eliquid that costs $20 for a 120mL is just amazing, so I am thankful to have discovered them. With Immortal Fog, we are once again back in the “usual” price range. While most of Immortal Fog is available in Vape Shops all over the USA, you can order online at immortalfog.com. Tick the Quick Order on the menu bar and you’ll see an order page. A 15mL bottle is $9.99, while a 30mL bottle is $17.99. Don’t bother with the 15mL size, you will want the 30mL bottle, at least. However, once you know you like the flavor, I urge you to buy the 120mL bottle for $45.99. Today’s popular High VG e-liquids and high wattage, low-ohm vape gear 120mL today is equivalent to a 60mL bottle 18 months ago. If you skip the 120mL bottles (once you know you like the eliquid) you’ll miss out on obtaining these eliquids at a low 38-cents per mL. While more expensive than the budget-minded labels, it’s worth every penny. If you’ve been reading other Spinfuel eLiquid Team Reviews then you are already aware that we are finding our original method for scoring an eliquid, and the opportunity to earn a Spinfuel Choice Award, to be lacking for the current stage of the eliquid community of mixologists. Just being created and mixed in a clean room environment, being shrink-wrapped, have child safety caps, and with informative labels, no longer is the exception…it’s the rule. Something my mother used to tell me while I growing up, getting good grades in school; “I won’t reward someone for doing their job, it’s their job. Instead, I’ll reward someone for going above and beyond their job, for that is truly special”. I always knew what my mom was talking about, being a good student in school is expected of me, and therefore, being a good student was simply doing my job, I didn’t deserve to be rewarded. I believe that today, always have. Creating and mixing eJuice in a clean room, bottling in a sterile environment, using informative labels, and protecting the vaper, as well as those around the vaper, with child resistant caps and shrink-wrapped bottles is the job of every eliquid brand. It may have been going ‘above and beyond’ a couple years back, but no longer. Finding the right blend of, I hate to use this word… “judging” an eliquid isn’t an easy task. Giving special recognition to a brand and a ejuice flavor from that brand is the same as telling you, “I promise that if you like these flavors in this eliquid blend, you will enjoy this eliquid a whole lot.” That is a lot of responsibility and we do not take it lightly. 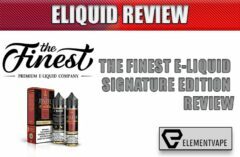 You will notice in this review for Immortal Fog that we have given ‘points’ for each eliquid in the review. Q = Quality, V = Vapor Production, and F = Flavor. Digging a little deeper, these scores have real consequences. Quality – The quality means more than the clean room and labels mentioned above. All brands that we review have minimum requirements they must meet to find themselves in a Spinfuel Team Review. Quality means vape satisfaction as a whole. Is this an eliquid me and my teammates would be happy to recommend? Vapor – The vapor score isn’t about how much vapor this eliquid creates, because the amount can be manipulated by whatever vape gear we use, or you use. When we put a value on the vapor we’re telling you whether or not the vapor has the proper characteristics; i.e., density, aroma, and the amount of flavor carried in the vapor. Flavor – Does this eliquid produce the flavor(s) the brand describes once the hyperbole is stripped away. It’s natural, and proper, for a brand to describe their eliquid in flowery words, poetry, and passion, but when you strip those words away, has the brand created an eliquid that is equal to the words that describe it. If an eliquid is said to contain “ample banana” or “crisp red delicious apple”, is it accurate? Or, is this banana flavored eliquid holding back on the banana or replacing it with a banana flavor that tastes like chemicals? Is that crisp red apple flavor you’re supposed to taste nothing more than just a dull apple flavoring. How many times have you spent money for an eliquid that was supposed to deliver specific flavor(s) when in fact you’re wondering where that flavor is, and if it was ever there to begin with. If the flavor description is off base, then we must ask ourselves, “Is this an eliquid flavor profile written simply to persuade us all to buy it, regardless of its true flavor(s)? If we think the flavor is so misdirected, so inaccurate, then we’ll tell you that, and wave you away from it. The truth is, there are many brands today producing great eliquids that score very highly in our reviews. But, are they ‘award winning’? Not really. Let’s look at another example; Say you have a delicious High VG custard that you keep in your rotation every month. You allow some friends to sample it and they each tell you it reminds them of various custards that love. It’s a perfect eliquid flavor, but its “been done” many times over. Should they all get an award? Maybe, but then maybe not. Has any of these great custard flavors done something the others could not? Has one custard set itself above the rest in any fashion? What happens to this sense of rewarding these custards an award if they are all so very similar? Would it not make more sense to recognize these custards but withhold an actual Award? We think this is the right approach. 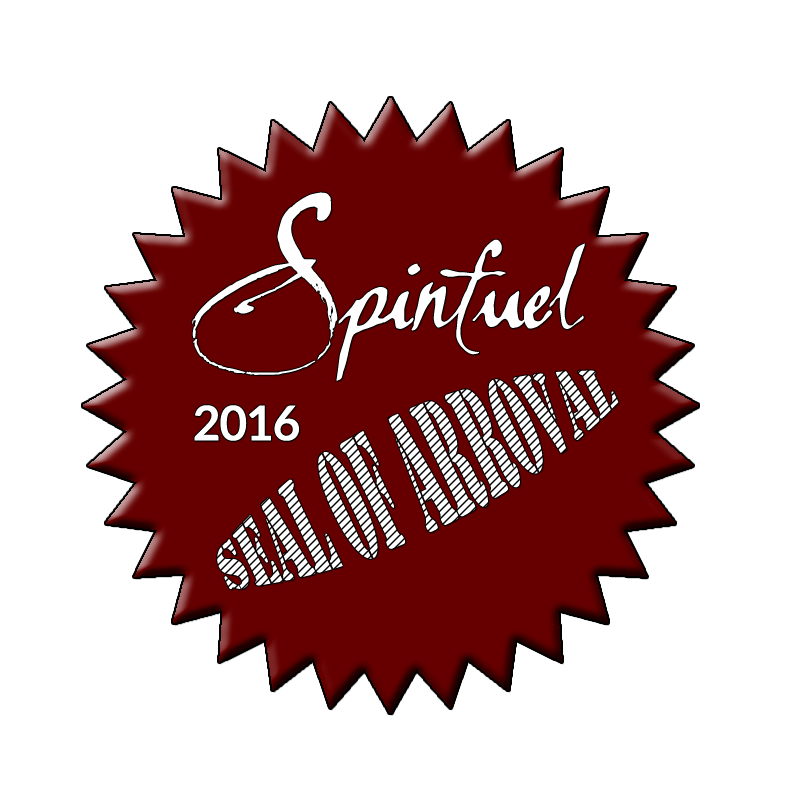 Beginning today, with this review, we will start stamping excellent, great tasting, great performing eliquid brands with a Spinfuel Seal of Approval. 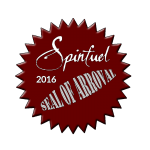 Our Seal of Approval means that the brand behind it is excellent, and you shouldn’t worry about getting high quality ejuice. The Immortal Fog Team certainly deserves our Seal of Approval. 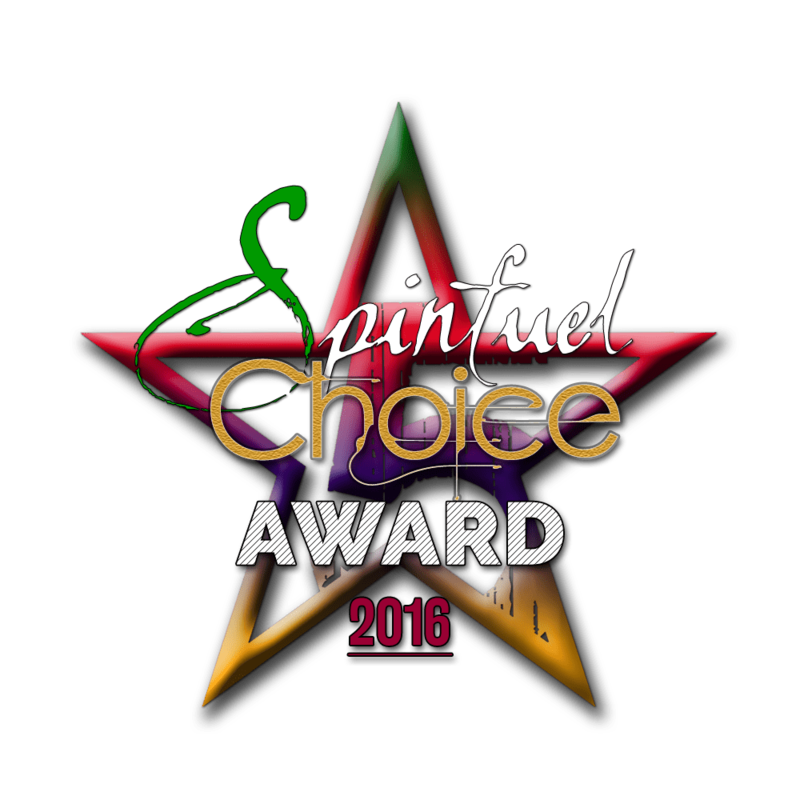 Which particular eliquids, if any, is inspiring enough to be awarded with the Spinfuel Choice Award? We’ll find out soon enough. 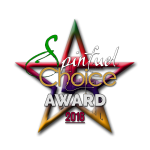 The Spinfuel Choice Award will be awarded only if the eliquid scores 5.00 points in every category, and at the same time is also an inspiring blend of creativity, innovative, and original. Julia – Vape Forward – (VaporFlask) new ‘Stout’ with a Zyphyrus V2, and the eLeaf Pico with Melo 3 Mini tank. Tom – Kanger DripBox with the premade coils, Vapor Shark DNA 200 with Uwell Rafale. Jason – Lavabox DNA 200 w/ Uwell Crown, Laisimo S3 200W w/Gigue Dolphin and Goliath V2. The Immortal Fog line is a High VG, thick and luscious liquid. Aroma from the bottles foretell the flavor components inside. Flavors are natural, genuine, no chemical aftertastes at all. Smooth vaping, massive clouds of vapor, and satisfying flavor combinations. Nothing overwhelmed, and nothing underwhelmed, each blend provided the right amount of flavor to match their description. AWAKENING is the first glimmer of thought, of reflection, of self-awareness. What will you become? How can you improve? Why do you do what you do? At that first, reflective moment, how do you decide what to be? Search for paradise with AWAKENING. things the bounty of nature can provide, and the cycles of the earth. Julia: Q: 5.00 V: 5.00 F: 5.00 – When I vape an e-liquid with a graham cracker component I want to taste the graham crackers, not have them tucked away somewhere in the blend. I am thrilled to say that the Awakening presents the graham cracker flavoring front and center, with cookies and cream taking a less prominent, but important, postion in the delivery of flavors. The Awakening is one awesome vape. In fact, the balance of the flavors is so good that it would become an all-day-vape despite the deep, sweet flavors. Definitely in my rotation, I enjoyed Awakening a lot more than I expected to. I recommend it for anyone looking for a truly nice graham cracker, cookies and cream experience. Tom: Q: 5.00 V: 5.00 F: 5.00 – After reading all six flavor descriptions I made the decision on what e-liquids would be vaped with the new Kanger Dripbox and which ones would be vaped with the Vaporshark and Rafale tank. Awakening was experienced on the Dripbox, and it was such a great vape that I worked my way through all 30mL’s before moving on the next flavor. 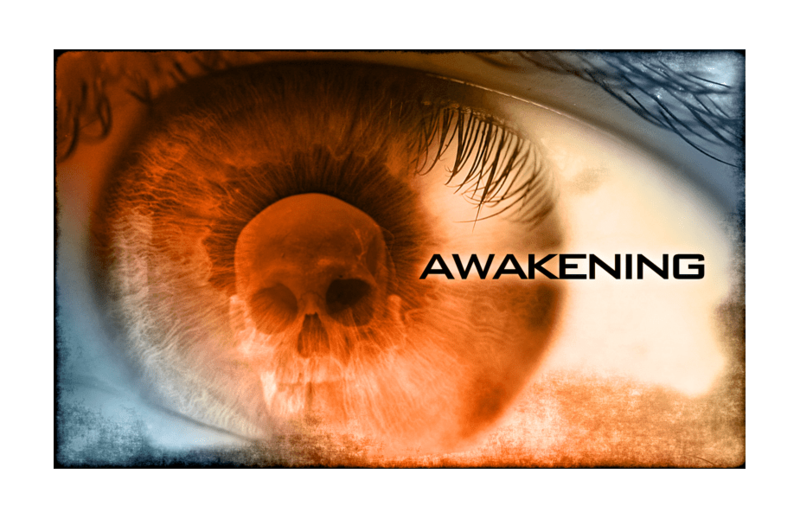 Awakening is a smooth graham cracker, cookies and milk, eJuice that was both delicious on the inhale and exhale. A sweet graham cracker is tasted first, followed by an authentic cookies and cream flavor. 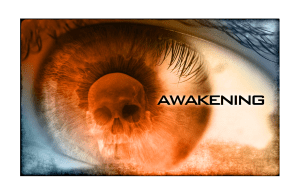 It was like a 1-2 punch going in and coming out, and provided me the opportunity to replace a long-standing eliquid in my rotation for a new one, Awakening. Want a sweet graham cracker vape? Awakening must be tried. Kiera: Q: 5.00 V: 5.00 F: 5.00 – After vaping nearly half the bottle of Awakening I told Julia she had to change the Submission Guidelines and ask for 100mL of each flavor, per member of the team. 30mL, I knew, wouldn’t be enough. Well, let me rephrase that; 30mL is more than enough to tell me how good, or bad, an eliquid is, but not enough to satisfy my desire for a great eliquid when I discover one. You and I can buy Awakening, and the other five, for 38 cents per mL when we buy the 120mL size. I am adding this one to my rotation, and I will purchase the largest size. I have a feeling you will want to as well. Oh, I almost forgot, the flavor! This is a graham cracker flavor with cookies and cream accents. The graham crackers are sweet and authentic, and the first flavor to hit your tastebuds. Interestingly, while you’re still processing the graham cracker flavor the cookies and cream begin to introduce itself, and hangs back a second or two in the exhale. One seriously delicious eliquid. Jason: Q: 5.00 V: 5.00 F: 5.00 – My Uwell Crown and Rafale saw most of the action with Awakening. Vaping upwards of 60w this magnificent flavor combo produced more vapor than I thought possible, with deep, sweet flavors of real graham crackers and cookies n cream. A sweet vape, yea, but not overwhelming. In fact, Awakening could be an all-day-vape for anyone that likes graham crackers. Vapor, flavor, and deep satisfaction means I am putting Awakening into my rotation now. “Enter history with AVALON. What does society stand for? What does it value? Will you choose honor and virtue? Will you stand up and be recognized? Will you help build a legacy for all time? Or will you tear one down? Julia: Q: 5.00 V: 5.00 F: 5.00 – Yes, yes, the histrionics are a bit much in the description of Avalon. You won’t decide what society stands for and you get to choose what people will say about you throughout the ages, but man, Immortal Fog certainly laid out the truth about the juicy field-grown strawberries and the tartness of lemonade. Sadly, for me, the dominant flavor is the tart lemonade, it is present in both the inhale and exhale. The sweet fully ripe strawberries make their presence known in the exhale, but not enough for me. 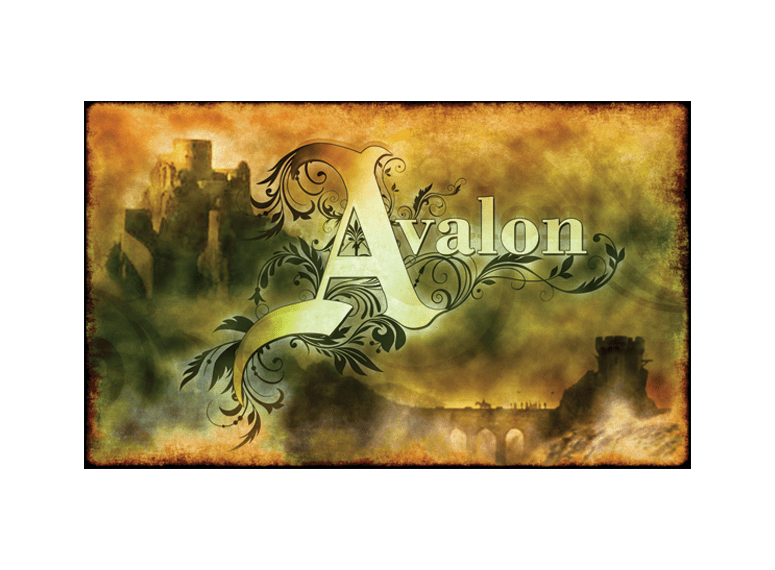 lemon flavors will adore Avalon though, because this blend feels like a million dollars went into it and hundreds of blends were created to get one that delivered like it does. Do we award an eliquid that scores perfectly, but winds up not being a flavor that one or more of us would normally vape? Yes, absolutely. Just because my personal taste runs contrary to lemonade does not mean this is not an award-winning blend…. It is. Tom: Q: 5.00 V: 5.00 F: 5.00 – A tart lemonade eliquid is not something I go out and look for, and every time I am confronted with one in a review like this I search for what lemonade vapers look for, a genuine tartness that comes from a real lemonade experience, not some faked up tart flavoring that some mixologists use. Avalon is a good example of a high quality lemonade and strawberry recipe blended extremely fine, but I’m just not into these kinds of flavors. Kiera: Q: 5.00 V: 5.00 F: 5.00 – A perfect blend of sweet and tart, Avalon does exactly what it needs to do to win me over as a fan. A wonderful lemonade flavor on the inhale and exhale, leaving a sumptuous tarty aftertaste for several seconds. The ripe strawberry can be buried under the lemonade with a long, strong lung hit, but vaped slowly the strawberry flavors almost equals the lemon flavor. Almost. Another way to reach the strawberry layer would be to tighten the draw on a sub-ohm tank so that the vapor is packed denser than wide-open, and the flavor is concentrated in order for a tighter flavor profile. I enjoyed Avalon more than enough to make it an all-day-vape on a hot day, and a cool, tart vape in the afternoon. Jason: Q: 5.00 V: 5.00 F: 5.00 – If you like a tart lemonade this is an eliquid you might want to try. A deliciously thick vapor forms under my Uwell Crown with the wattage up at 60+ watts, and the result brings a warm deep tart/strawberry lemonade that can satisfy any vapers desire for a true lemonade vape. Like our last team review, which featured a strawberry/lemonade blend (these two taste a lot alike) I’m not that big on tart lemonade flavors. I may not want to add this one to my rotation, or collection, but there can be no doubt that for vapers that enjoy lemonade with a splash of strawberry, this is a contender. “Nothing lasts forever, but sometimes the greatest hope comes to us in the midst of the greatest struggle. This is the time to think about the future and to become LEGENDARY: protect your values, defend the worthy, and don’t be afraid to stand up and fight. Julia: Q: 5.00 V: 5.00 F: 5.00 Yum, peaches! Again, Immortal Fog describes the flavor profile to a tee, which makes the first part of this vape experience lovely and the second part, not so much. I would love to see what they could do with just the peachy side of the recipe. On the inhale, and the beginning of the exhale there is a delicious peach flavor that I have not tasted before. It’s like a peach flavor that is at its ripest, with plenty of sweet peachy flavor. But, at the end of the exhale that tart flavor that is part of Avalon and Submergence, almost, comes in here as well. Unlike Submergence there is no aftertaste, no remaining tart flavor that carries over into the next lung hit. I have to say again that if you are a vaper that enjoys the tart, this is a marvelous way to get your peach flavor along with that tart flavor. This one is not for me, but others will love it. Tom: Q: 5.00 V: 5.00 F: 5.00 – Who doesn’t love a good peach flavored eliquid, am I right? 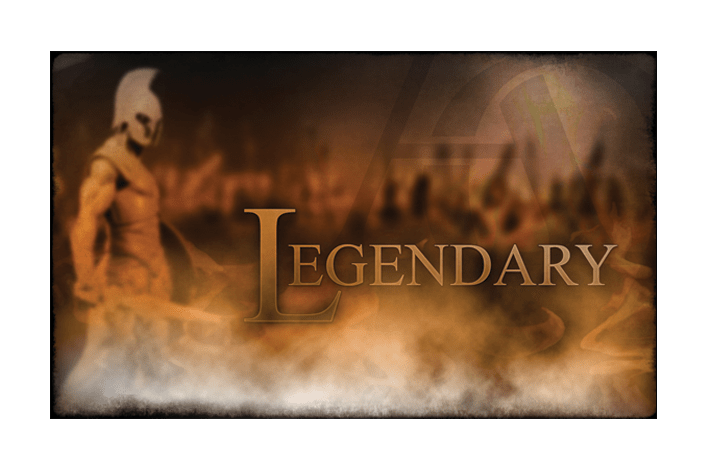 Only problem with Legendary is that juicy peach flavor winds down and is replaced by a tartness that kind of ruins it for me. I would really like to see what Immortal Fog could do with a good peaches and cream, or straight up ripe peaches, but why they would create a nice peach flavor with mild tart finish is a question I’ll probably never get answered. Lastly, some eliquids make me cough, believe it or not, and this is one of them. Kiera: Q: 5.00 V: 5.00 F: 5.00 – Oh my God, is this stuff legendary or what? Who would ever have come up with a peach flavor and end it with a soft tart flavor? I’ve never even imagined it before, but it is incredible! Vape warm for the best flavor. The only negative with Legendary is the 30mL went way too fast. Jason: Q: 5.00 V: 5.00 F: 5.00 – I don’t know about Legendary. This one just doesn’t work for me. I like peach flavors, but for some reason this peach flavor seemed stale. It could be that “mild tart candy” finish, but whatever it is, it’s not something I enjoyed. I wound up giving the remaining eliquid to Kiera, who vaped it all up. “Across cool ocean waters lie complex arrays of berry flavors complemented with sweet, mildly tart undertones. 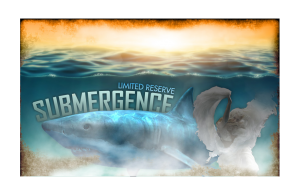 Julia: Q: 5.00 V: 5.00 F: 5.00 – Submergence is a Limited Reserve flavor, which I take to mean that its availability depends on how well it sells compared to how much Immortal Fog produces. When it comes to the flavor, the official description of “blue raspberry” is pretty much spot on. A Blue Raspberry is a complex multi-berry and raspberry flavor that defies a true flavor by flavor dissection. In one way, Submergence is an awesome flavor profile, one that is certainly an all-day-vape. In another way, Submergence means spending the day with a very stout and tart flavor, which usually doesn’t do it for me. Somehow this one works, but I can’t figure out why. I don’t keep a blue raspberry flavor in my rotation, but upon reflection, I think I would keep Submergence in my rotation for a good long while. This complex insanely-berry profile makes me want to take long lung hit pulls while slowly allows the enormous vapor clouds to escape at its own pace. My entire tastebuds arsenal comes alive on the exhale, lighting up sweet, bitter, and sour as bright as possible, then calming down gently with anticipation of the next lung hit. Kind of strange really. Tom: Q: 5.00 V: 5.00 F: 5.00 – In some small ways Submergence is like Avalon, only better suited to my tastes. Immortal Fog is telling the truth about Submergence being complex. I’m not a big fan of tart flavors, so why I am liking this one so much? Maybe that’s part of the paradox they talk about. Blue Raspberry is available in many candies, and I suppose in many eliquids as well. Yet, there is something strangely appealing to it. I vaped all 30mL of this and still cannot decide if Submergence and I will come together in my rotation. I think I’ll have to order more to make up my mind. Kiera: Q: 5.00 V: 5.00 F: 5.00 – Immortal Fog says to understand the paradox, and although I’m not sure I can, I will say that vaping Submergence is all kinds of fun. It reminds me of a blue raspberry candy, very tart and with a side of sweet. Yet, despite the similarities to Avalon, this was one I was enjoying more than Avalon. If you’ve been vaping long enough you probably vaped other blue raspberry flavors, and if you have you’ll fall in love with Submergence. Jason: Q: 5.00 V: 5.00 F: 5.00 – Submergence is not easy to describe. Like the other members I know that this eliquid tastes exactly like blue raspberry, sweet and tart, with all kinds of raspberry flavors. If you would have told me I would vape something like this as an-all-vape I’d think you were crazy, but that’s exactly what was happening, until I ran out of the stuff. It’s not even close to my favorite eliquids, but it is a great change up when my flavors get a little boring. There really isn’t a whole lot more I can say about blue raspberry, and as far as I am concerned, Submergence is a blue raspberry eliquid. There is an element of sadness toward this review. That sadness comes from not reaching out to Immortal Fog to let them know that they could include the remaining flavors for this review. But, with the sadness comes a bit of joy as well, the joy of anticipation toward continuing our review of Immortal Fog by bringing you another review for the flavors left out of this one. The “Best in Show” was most certainly Awakening, the discussion period for Awakening turned into a 4-way “who could praise the flavor the most” conversation. However, it was not the only flavor to strike a cord with the team. Unfortunately, the only member of the team that truly takes to tart flavors like lemonade is Kiera. Sometimes it feels unfair to the brand under review. Our last team review featured a very similar flavor, so twice in a row we had to depend on Kiera to deliver an impression of the eliquid from the aspect of a vaper that enjoys tartness. All in all, there are no doubts that the brand Immortal Fog is a very premium brand, with high quality USA ingredients and great flavorings. We highly recommend this brand, and once again I will say that your best bet would be to start with a bottle of 30mL of flavors that sound like you might like it, and once you find the flavors for you, jump on those 120mL bottles because the cost per mL drops significantly. We hope you enjoyed the review. We’ll be back with a new one very soon. Want to buy some Immortal Fog? Check out your local Vape Shop, or head to their website and place an order.